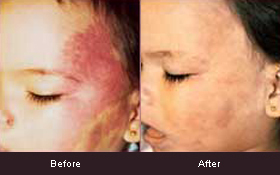 Red or pigmented spots that are present at birth or soon thereafter depending on the underlying types of cells (blood vessel or pigment). 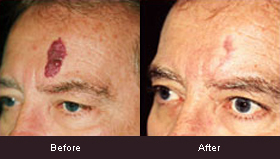 There are many options to help remove or minimize their appearance. Please make an appointment with our dermatologists at Skin Care Doctors, P.A., who have all taken special training in the treatment of these conditions, to see what may be the best options to treat your birthmark(s).